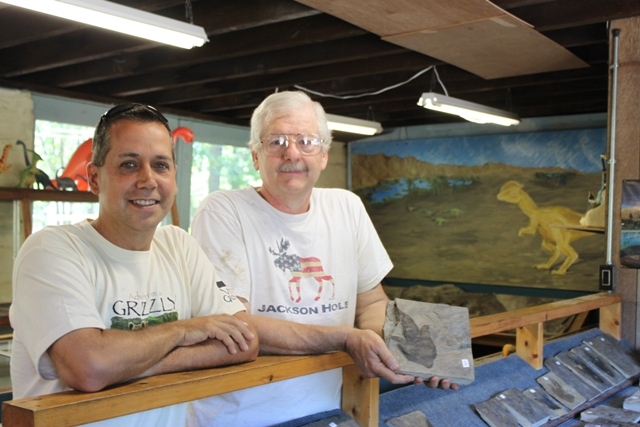 Digging into New England’s Prehistoric Past at Nash Dinosaur Tracks! Lately I have found myself reading guide books of fun things to do in New England. Locations that would make for fun day trips with friends. One book I found of particular interest is “Curious New England” by Joseph A. Citro and Diane E. Foulds. Though this was the “updated and illustrated second edition,” it still came out in 2004 and is a bit outdated. Thankfully, most of the entries within are not. 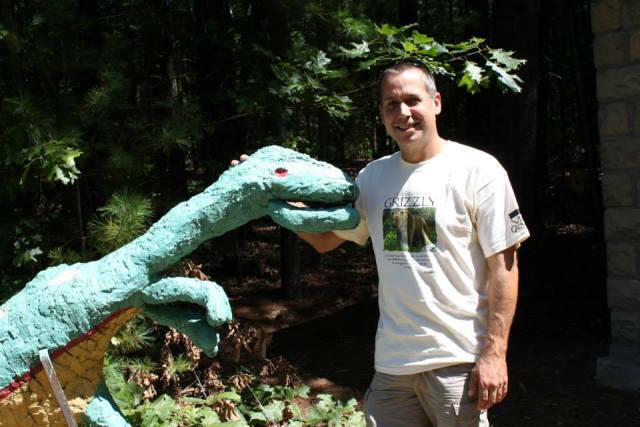 One place of interest that struck a chord with me was Nash Dinosaur Land in South Hadley, MA. 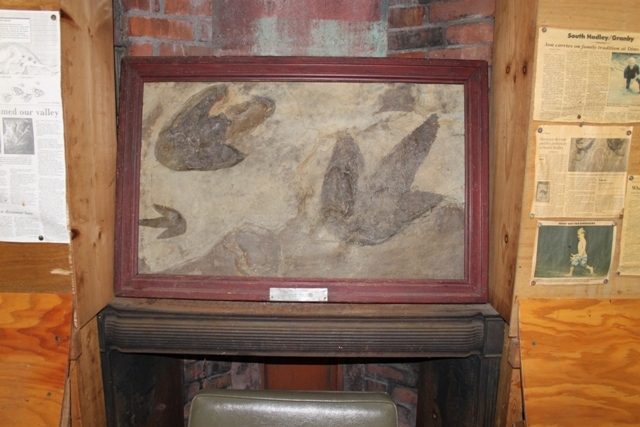 This place was opened in 1939 when dinosaur tracks were found along the Connecticut River Valley. The property was purchased by Carlton Nash and the rest is history. I had no idea what to expect when I arrived but I was really hoping that the three-hour drive to South Hadley would be worth it. I can say with no uncertainty that it was. 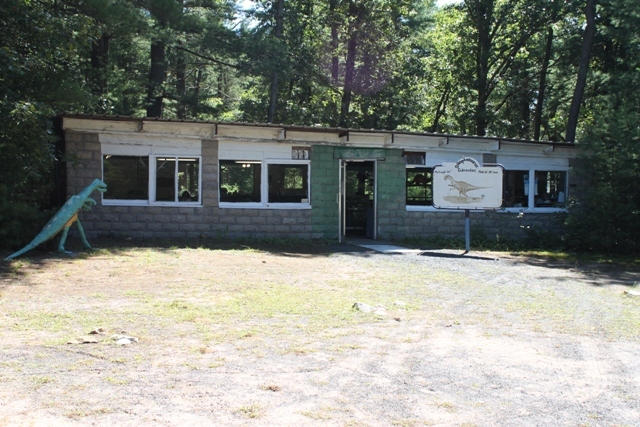 Though this place has seen better days, it is the charm of this place and its owners that made this visit worthwhile. 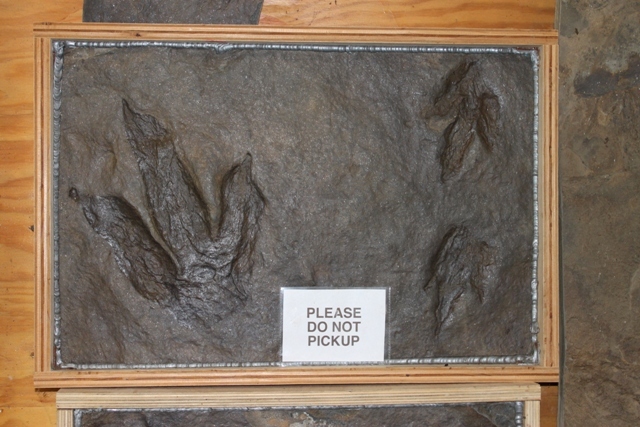 Currently Nash Dinosaur Tracks, as it is now known, is run by Kornell Nash and his mother. 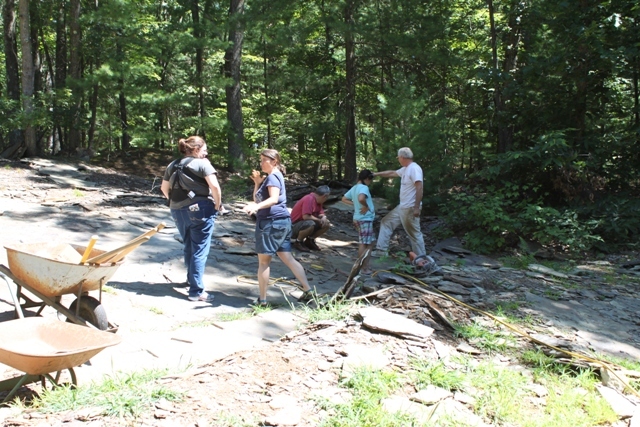 When we arrived Kornell was out at the quarry with a visiting family and we were greeted by his mother, a very friendly woman. 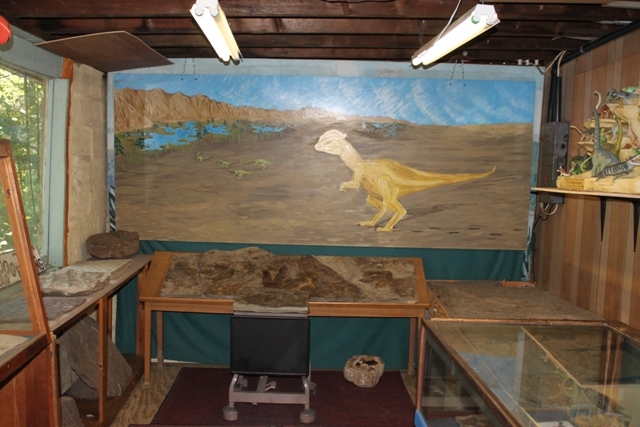 The main building is a combination store and museum with literally hundreds of dinosaur footprints removed from this very site as well as other types of fossils, rocks and minerals from around the world. 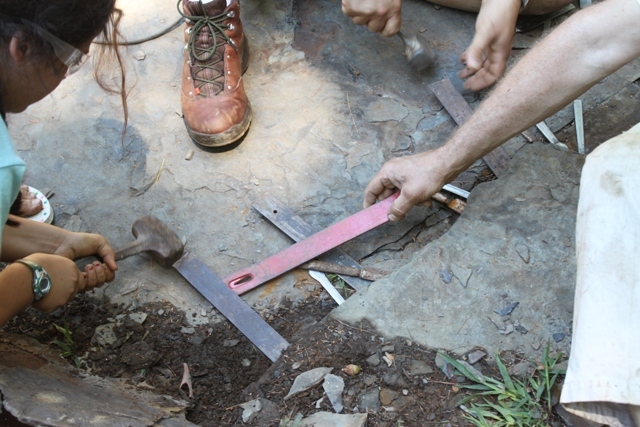 We then headed out back to the quarry after a friendly warning from the mother to “watch out for the dinosaurs”! 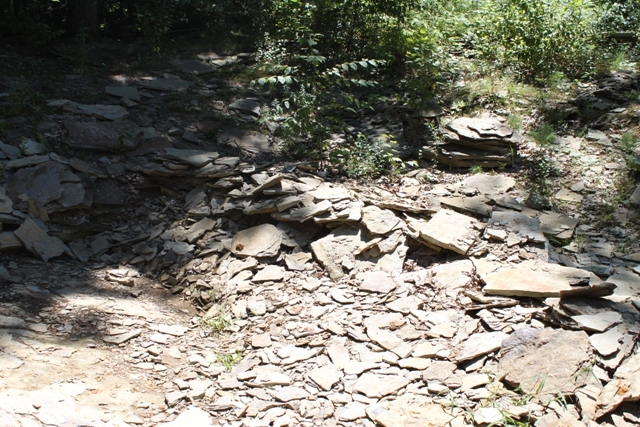 It was just a short walk to the quarry and it was very interesting to see Kornell, with the aid of the visiting family, removing layer of rock revealing new dinosaur footprints. When done correctly, I learned, you can end up with two sets of tracks, a positive and a negative. 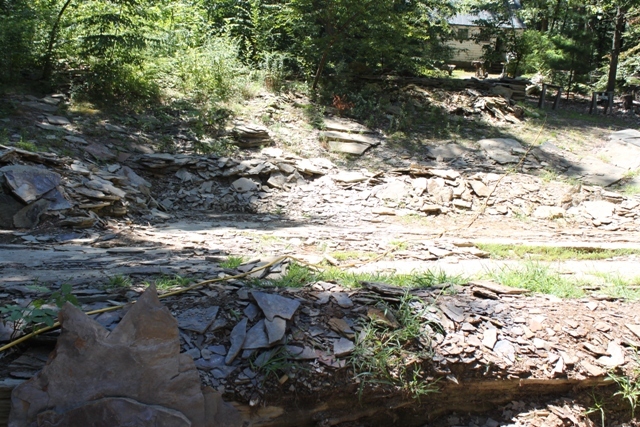 According to Kornell, at the spot we were standing, a good six feet of material had been removed since Nash’s opened in 1939. That is a lot of material considering many layers are only an inch or so thick and everything has to be meticulously removed to avoid damage to the prints. 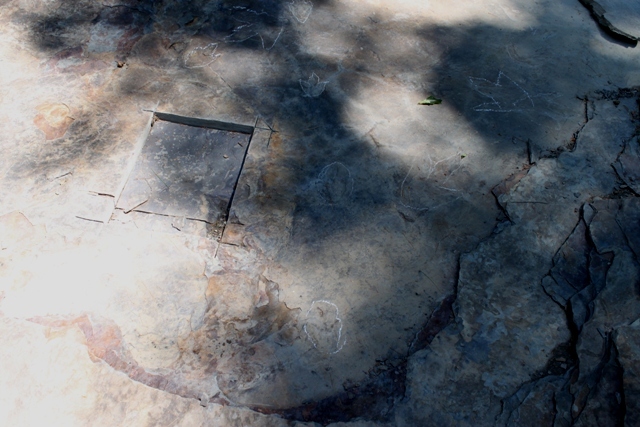 From here I of course had to purchase my own dinosaur footprint, all very reasonably priced in my opinion. 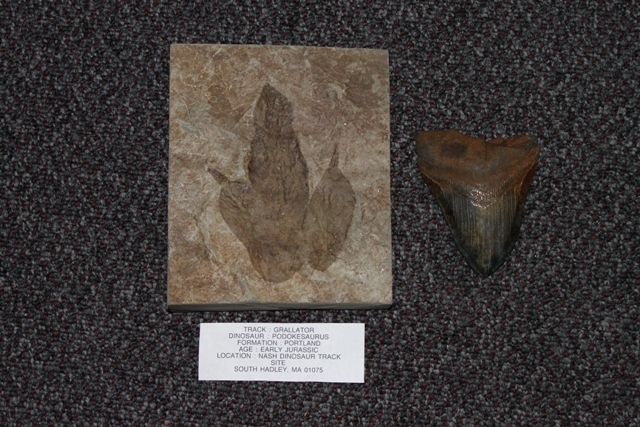 I also ended up buying something I always wanted, a genuine megalodon shark tooth fossil. This place is a definite labor of love and I can certainly see why it has lasted so long. 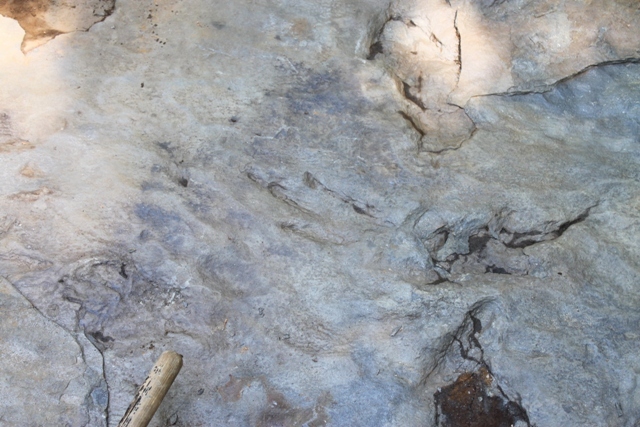 I am actually surprised no one has bought up the nearby property to do the same thing as the prints cannot just be located in the 2 acres that Nash Dinosaur Tracks rests upon. 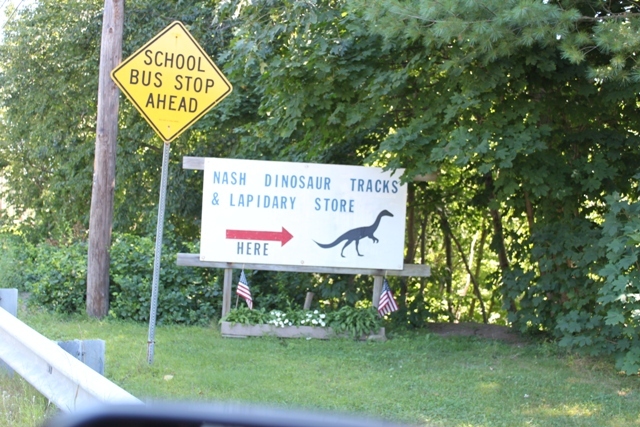 I am not sure that if really young kids would enjoy visiting Nash’s but if you or anyone we know has a genuine love of dinosaurs, then I cannot recommend it enough. 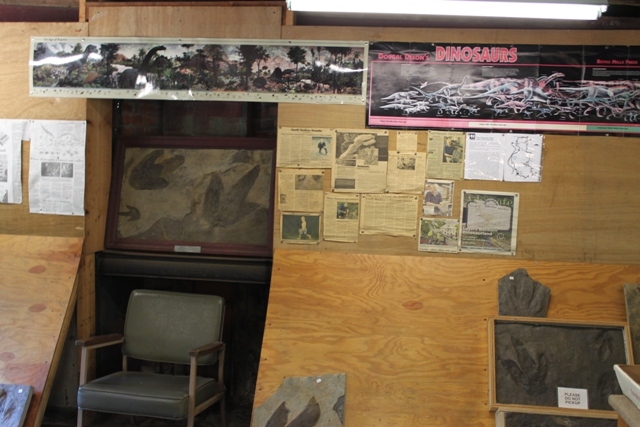 Places like this are hard to come by and like the dinosaurs themselves, are becoming extinct! 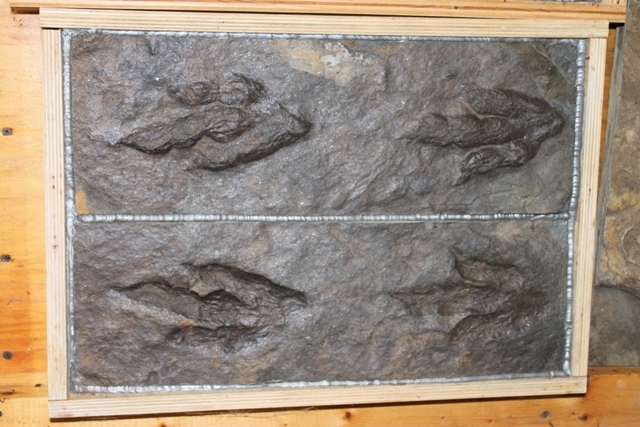 Nash Dinosaur Tracks can be found at 594 Amherst Road, South Hadley, MA 01075. Their phone number is (413) 467-9566. 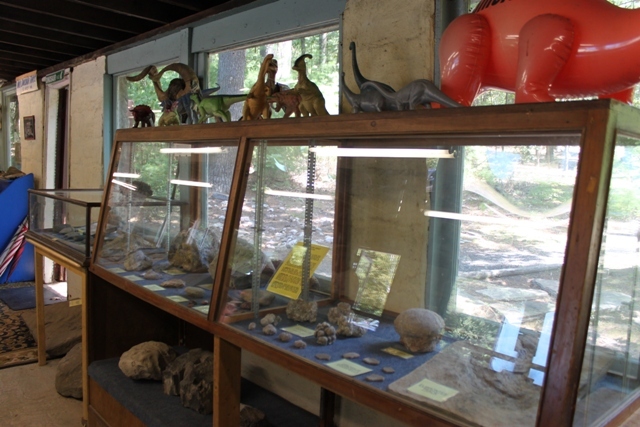 This entry was posted in Dinosaurs & Prehistoric Attractions! 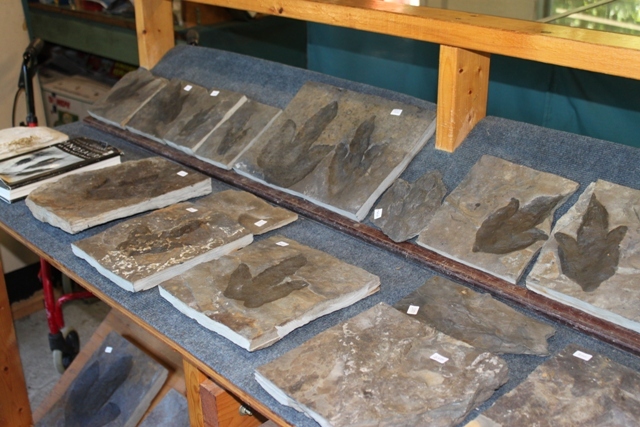 and tagged "Curious New England", Diane E. Foulds, Dinosaur, DINOSAURS, FOSSILS, Joseph A. Citro, Kornell Nash, Megalodon, Nash Dinosaur Tracks. Bookmark the permalink.